Southeast Correctional Center in Charleston, Mo. A Missouri man who was convicted of armed robbery in 2000 was told to await instructions on when and where to report to begin serving his 13-year prison sentence, but the instructions never arrived, the Associated Press reports. So Cornealious Anderson, 37, remained free for 13 years after his conviction, the report says. And during that time, he rehabilitated his life, including getting married, raising three children, and learning a trade. He never tried to run or hide. In fact, he paid taxes and traffic tickets, renewed his driver's license, and registered his businesses, the news site says. But that all changed last year when the Missouri Department of Corrections discovered the clerical error that had allowed him to remain free, the report says. He was arrested last July and now is embroiled in a fight to regain his freedom. "They sent a SWAT team to his house," Anderson's attorney, Patrick Megaro, told AP on Wednesday. "He was getting his 3-year-old daughter breakfast, and these men with automatic weapons bang on his door." 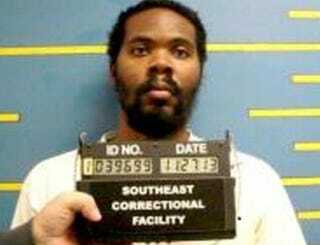 He was taken to Southeast Correctional Center in Charleston, Mo., to begin serving the sentence, the news site says. In February Anderson appealed to a court to be freed because of the clerical error, the report says. But Missouri Attorney General Chris Koster on Tuesday filed a court response that said the state is justified in making Anderson serve the sentence, the news site reports. The saga began when Anderson—who had just one arrest for marijuana possession on his record—and a cousin robbed an assistant manager at a St. Charles, Mo., Burger King restaurant at gunpoint on Aug. 15, 1999, AP reports. The robbers fled the scene with a bag of cash. It was later revealed that they had used a BB gun to commit the crime. They were arrested after the assistant manager gave police the car's license plate number, the news site says.